A night-and-day difference from the ordinary. With a PowerVac™ Collection System for your Grasshopper zero-turn mower, you're getting the most powerful, maneuverable and efficient leaf-collecting, grass-catching and debris-removing equipment available for turf. 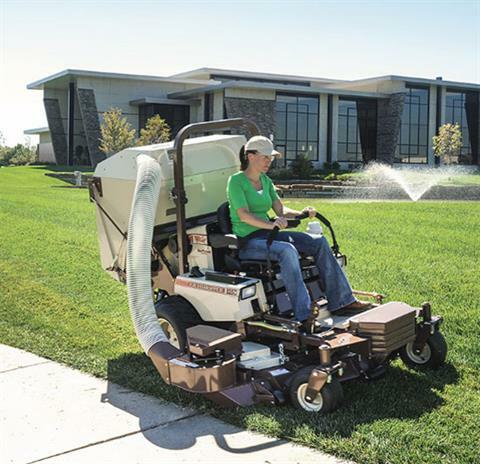 Built on more than 50 years of airflow research, PowerVac™ Collection Systems deliver a professional, finished look every time you mow.